The first papers related to the SureThing project were presented today at the IEEE Network Computing and Applications conference, being held in Cambridge, MA, USA, right next to the MIT campus. 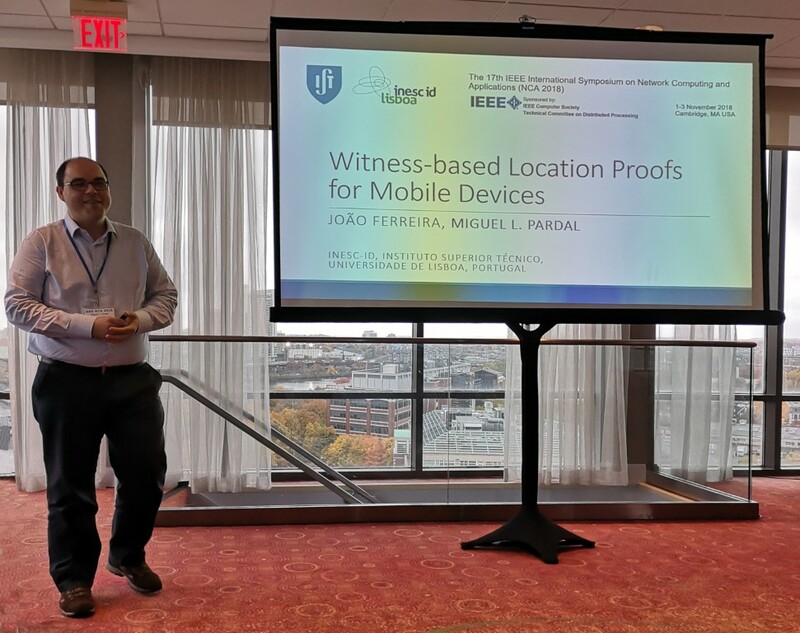 Miguel Pardal attended the conference and presented the incentive schemes for crowdsensing by Diogo Calado, and the location proofs for mobile devices by João Ferreira. The presentations received good feedback from the attendance. Again, user privacy was one of expressed concerns.